The elegant scrolls and fleur-de-lis gold accents make this an eye-catching piece that will complement any decor. 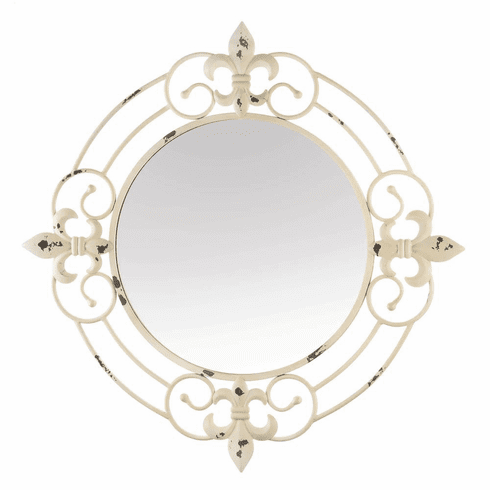 Show off your excellent taste in style with this mirrors fluid scrollwork and contemporary simple touches. Weight	5.8 pounds. 28" x 0.5" x 28". 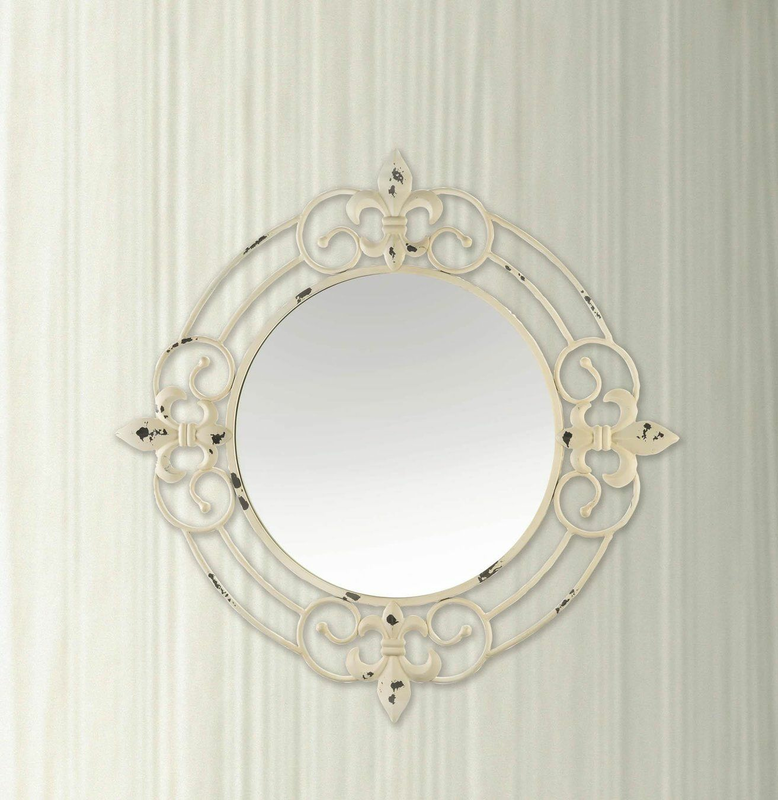 Iron, Mirror, MDF Wood. UPC Number: 849179040802.